Hi Guys! I'm so excited to create this blog because this is the first time that the topic is all about food. gustu mu yon? gustu ku yon!! 😂😂😂 okay resume. I have a lots of restaurant that I actually visited before but this is the only one that I'll take pictures for my blog. because I like the ambiance so yon Okay moving forward. When you go to the bar or restaurant what actually comes from your mind? The food? ambiance? or etc?? Okay lemme guess!! Most of people if they go to bar and restaurant. Make them sure the place is awesome and the food is Instagram able right? They can take pictures and post it to the social media. Otherwise they make a blog for just like what I am doing now! HAHAHAA 😂😂😂 anyways this is good a thing for us because we share are thoughts and also this is perfect for hangout. Last July 23, 2018 we have a family hangout for of my Lil' bro's birthday. My sister treat us for the birthday treat. and then I decide to take the pictures of the food and I like the place also. Nagandahan kasi ako sa lugar unang kita ko pa lang. 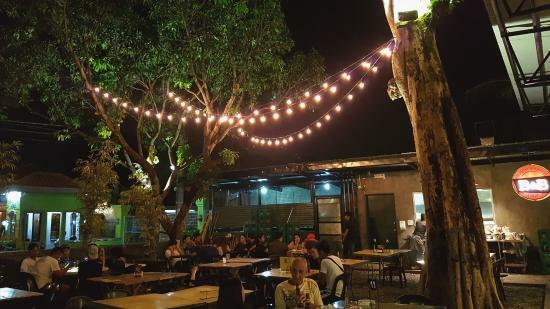 This place is perfect for buddies and family food hangout. B&B grill located at Richthofen Street, Barangay Malabanias, Angeles, 2009 Pampanga Philippines. Their opening hours start at 5:00 pm until 3:00 am. Keri na!! so I show you the place and food. They serving food mostly are barbecue grill and Filipino dishes. Then as you can see there's a lot of alcohol beverage that you can choose to drink. but this is a family hangout so no alcohol beverage included as of the moment tiis tiis muna sa ice tea. HAHAHHAHA! 😂😂😂. As I already mentioned guys in my previous blog if you have noticed I love food so much. I"m not body conscious at all. Food is my happiness tho. Moving forward many of you if you like the food we take it picture first or maybe take a selfie with the food before to eat. ganun kasi ako eh aminado ako don! HAHAHHAHA 😂😂. Then after I will upload it via Facebook, Twitter, Instagram or etc. Before without social media camera film is very important and very limited so we don't have an opportunity to take picture of the food unless that you have a food business or restaurant of course you need to take the picture to promote and advertise right? So we lucky today because there's a gadgets smartphone that we can take picture unlimited unlike before. Now with matching VSCO or Photoshop edit first before you post it HAHAHAHAH. I just want to share my thoughts regarding of this matter before good old days vs now. Okay napapalayo nako sa usapan. Anyway here's the pictures of the food that I captured. Note: We have a barbecue grill order however I don't have a pictures sorry ( I'm hungry that time!) gutom is real na mga teh! Here in Philippines is very common to serve those type of food. If you have a plan to visit here in Philippines I highly recommend to eat this kinds of food. I'm pretty sure you that you will like it. then most of the Filipinos they love to eat fried chicken so most of the time when you go the restaurants and fast food Fried chicken is the main menu. I love fried chicken so much! actually that is one of my favorite food fried chicken HAHAHAHA! 😂😂😂 yung chicken joy ng Jollibee ganern! masayang masaya na ko! I have a question? What is your favorite food share us! I love seeing new and different restaurants. Looks like the menu is right my alley, I've got a super simple deep fried pallet, lol. Yum, that all looks delicious! I love a good BBQ and it’s always fun to get together with family. We love to visit local places when we're traveling. This looks so good. This looks sooo good! that fried chicken and pizza look great! Yum! I have to admit, pizza is a favorite of mine, and that pizza you showed looks really yummy! It looks like a perfect restaurant for your brother's birthday celebration! That spicy Tofu looks so good! Can't wait to read more of your food posts:D Those are my favorite kind of posts! These pictures alone with all this food has got me sold. This has left me hungry too! I also love fried chicken. I am looking forward to more foodie blog posts and especially the photos. I oftentimes plan my vacations around food. It’s my favorite! I’d love to read about your travels and your meals. 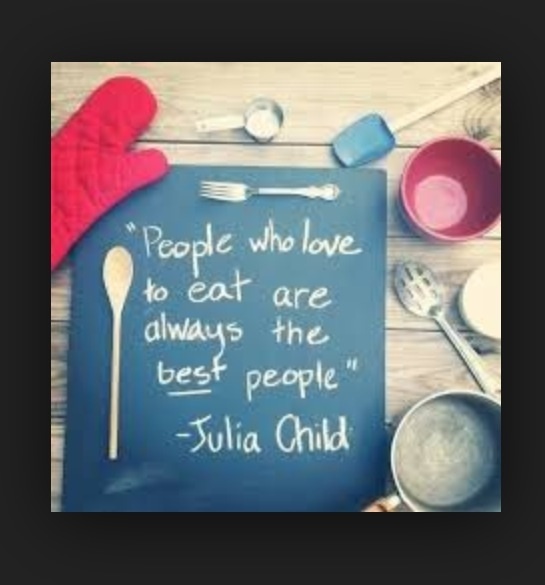 Love the quote by Julia Childs are the end! So true. This found sounds so yummy! I love trying things I've never had before. What a beautiful place! And the food looks delicious! And now I'm officially starving! This place has such character and the dishes look delicious. It looks like a very good restaurant. That spicy tofu or the pizza would be my first choices! B&B grill looks like an amazing place to eat wonderful food and chill. Plus, what better way to celebrate the birthday of loved one! You got me salivating with the pictures of the food. 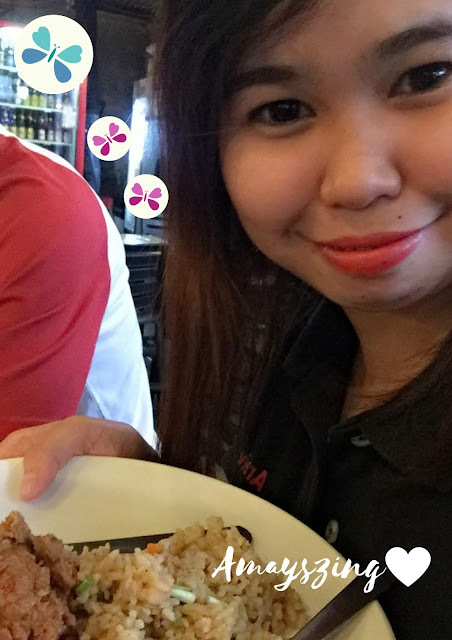 I love barbecue grill but I am yet to try Filipino dishes. I'm a pizza girl all the way so right now I'm drooling. Good company, food and beverages makes for a memorable occasion. What a fun foodit trip. I'd love hanging out at that grill. I love checking out new restaurants through others reviews and photos! This one looks like a place my family would love. That spicy tofu looks amazing! I might haveto try making that myself. The restaurant look gorgeous as well. I'm keen for the chopsuey and spicy tofu. Haven't had those in ages. Oh yum! This place looks amazing, if I'm ever in that area Ill have to remember this! This grill restaurant looks great. Their tofu seems really yummy. Thank you for sharing the recommendation! Ang AMAZING talaga ng blog mo. BTW, I am a foodie too! Thanks for sharing. Hi Maysz, These are great pictures. I too love to visit Philippines & will visit once I get a chance. This looks a yuumy restaurant. I will introduce to my fds. Love the spicy tofu! Sarap! Craving for that tofu and fried chicken..
Aaaaahhhhhhh....am hungry now! Food looks sssoooo good. I want to come there right now! The food looks amazing, lucky you! !